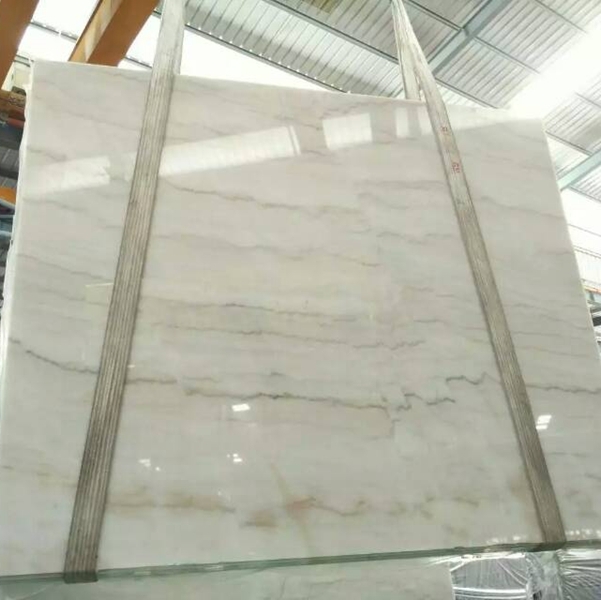 If you're interested in Cloudy White Marble Flooring Wall Tiles and Slabs, just feel free to contact us, we will keep providing quality products and excellent service for you. 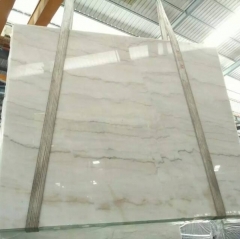 Today, as the Chinese economy continues to grow and people’s consumption levels continue to increase, China has become one of the world’s largest stone consumer countries. At yesterday’s stone conference, Zou Chuansheng, president of the China Stone Association, believed that last year China implemented a macro-control policy of “expanding domestic demand and maintaining growth” and the domestic market has stimulated the demand for stone materials. 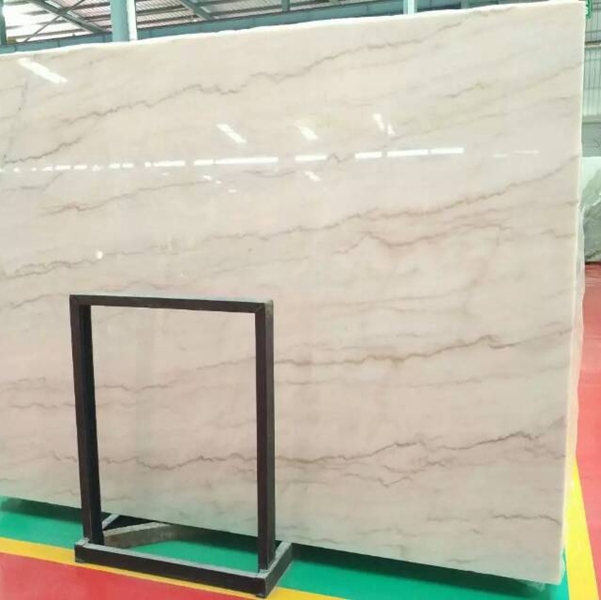 The industrial added value of enterprises above designated size in the stone industry in China increased by 21% last year, and both sales revenue and profits have achieved double-digit growth. He predicted that the recovery of the international stone market this year is slow, but as China has stepped up efforts to promote urbanization this year, especially the "building materials to the countryside" policy is about to be introduced, China's domestic market demand for stone products will be strong growth of. Peter Becker, a researcher from the famous German stone business website BusinessStone.com, talked about how to develop the Chinese domestic stone market. He believes that the Chinese market can not be ignored whether it is a Chinese stone company or a foreign stone company. These companies have to use various methods to give Chinese consumers more opportunities to understand and understand natural stone. When they build houses or decorate their own homes, they will first think of stone. He suggested that in terms of marketing, companies can combine stone with art, science, and even tourism, culture, and other fields. He is opposed to displaying those blocks or slabs, because the architect or builder pays more attention to the use of these stones. Yesterday morning, the Chinese and Japanese stone chambers of commerce and representatives of the business community once again sat down together to discuss in depth the problems and solutions in the stone trade between China and Japan. 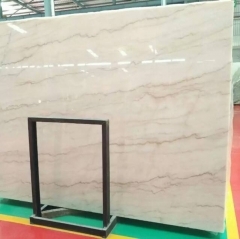 The Chinese representative pointed out that due to the lack of unified product specifications, most Chinese stone companies have encountered improper claims from Japanese vendors in recent years. 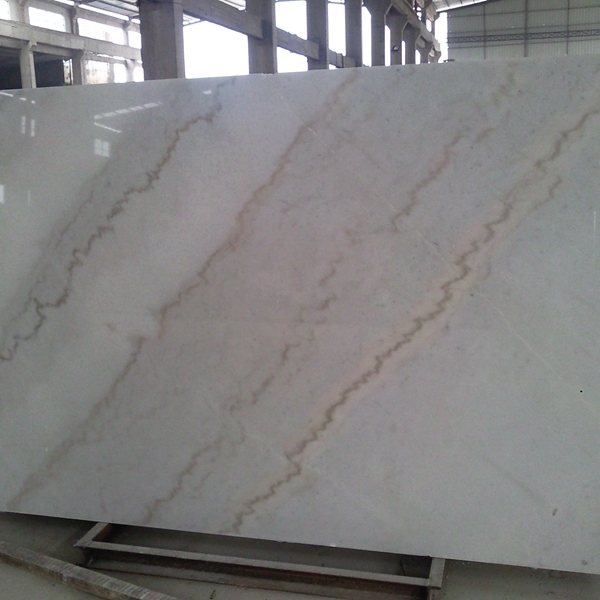 It is reported that the China-Japan Stone Friendship Consultation and Exchange Conference was first held in 2008 by the Fujian Stone Industry Association and the Japanese Stone Industry Association, mainly to resolve the trade frictions between Chinese stone products exported to Japan in the process of price and quality. The conference held two or three meetings each year, and one of them was held during the Xiamen International Stone Fair. At the consultation meeting, under the premise of accepting many harsh realities such as the increase in costs caused by commodity prices and labor costs and quality reduction, people in the stone industry in China and Japan separately consulted on various issues with a view to reducing trade frictions between China and Japan. Promote stone trade between China and Japan. At the consultation meeting, the Fujian Stone Industry Association announced that they had surveyed more than 100 companies in Fujian Province earlier this year. According to the survey, most companies have encountered improper claims from Japanese buyers. The claims are related to quality, processing, and transportation. Companies generally believe that there is no clear inspection standard and industry standard, and the complete inspection of the product standard is performed by the inspector's personal grasp. Some products are submitted to the Japanese users after the buyer's inspection has been labeled, and the claim is generated again. Increased the company's production costs. At the same time, as a single factory is in a weak position, it is extremely reluctant to accept that the number of claims will increase without fear of losing customer orders.